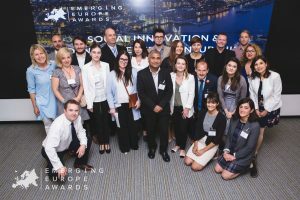 Mladiinfo nominated for Emerging Europe Awards as Youth Empowerment Initiative of the Year! 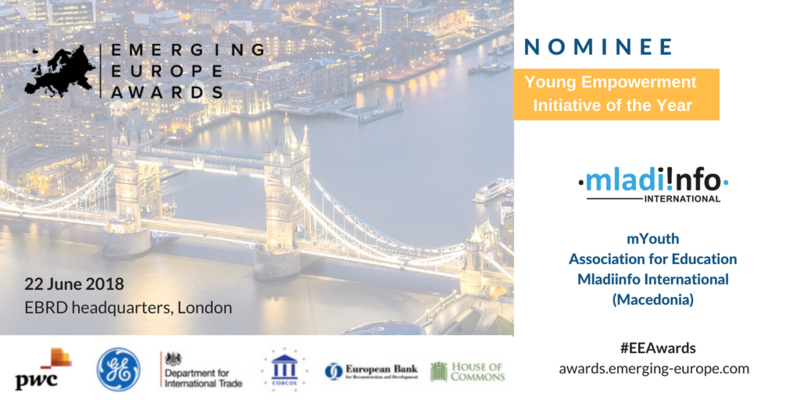 We were truly delighted when a mail reached us in the early May with the information that Mladiinfo with its capacity-building project – mYouth is one of the nominees of the Emerging Europe Awards 2018 in the category of Young Empowerment Initiative of the Year. At the same time we were enormously happy that our work is recognizable and valued, and on the other hand we were exited for the upcoming opportunity to attend on such event as Emerging Europe Awards. 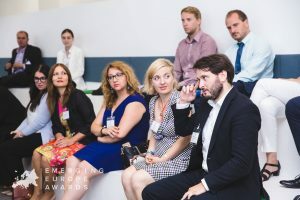 Emerging Europe Awards is a high-profile, prestigious programme recognizing successful stories, leading projects and best practice, encouraging through leadership and excellence across 23 countries. The awards are acknowledging local authorities and businesses which have demonstrated excellence in three main areas: raising awareness, social progress and economic development. 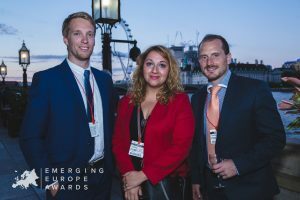 The Emerging Europe Awards celebrate the outstanding efforts of those who consistently work towards the economic and social development of the region and contribute most to its growth. 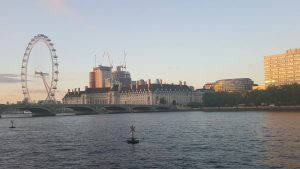 The event was held in London from 21-22 June were our Director of Programme Development Ana Alibegova presented Mladiinfo International and had an amazing opportunity to share our know-how with other representatives from Europe. 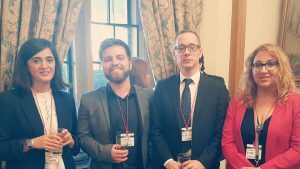 The Welcoming Reception took place at the Palace of Westminster, where policy makers, business community, civil society representatives as well as diplomats of the Emerging Europe countries in London attended. 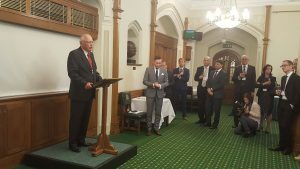 The welcoming reception was launched with a hot discussion about Brexit, upcoming challenges in Europe, as well as direct foreign investment in emerging Europe, at the House of Commons and European Bank for Reconstruction and Development. In the main spotlight of the event was the award ceremony, where 113 number of initiatives got recognition for the efforts they make for better “emerging” Europe. Special congratulations go to Prof. Günter Verheugen, former Vice-President of the European Commission and former European Commissioner for Enlargement on winning the Lifetime Achievement of the Year 2018 Award! Last but not least, we can say that rarely we find such events that open new horizons and present an extraordinary experience. Emerging Europe Awards was one of a kind, indeed. We hope this experience will be a springboard for even more quality projects and changed lives of youngsters by Mladiinfo! EuroaAsia in Vietnam – the third study visit is the charm!